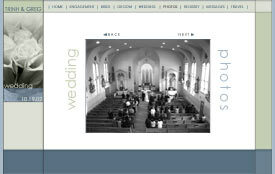 MyWedSite will create a site to match your personal preference and style. 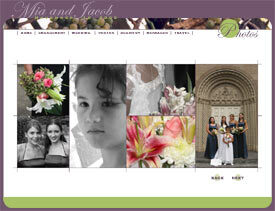 Your site design will be based on your wedding theme, including colors and images. 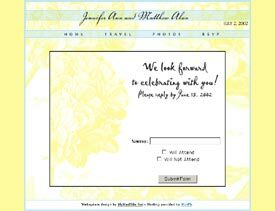 You may also have a particular font that you would like to use, which will also help to determine the style of your site. 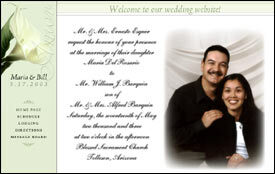 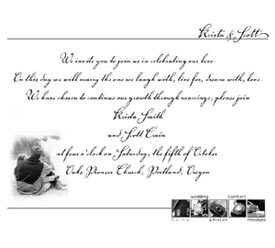 Below are some examples of designs.